WODProof is your ultimate qualification video and community driven application. 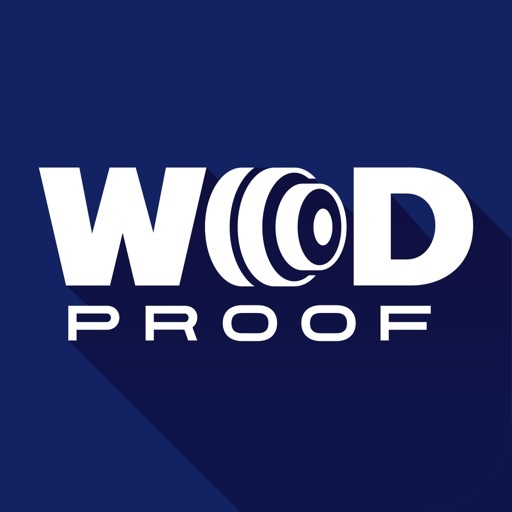 WODProof allows you to record your training, customize and share with our community. Improve your performance with access to our worldwide library of athlete's training videos. 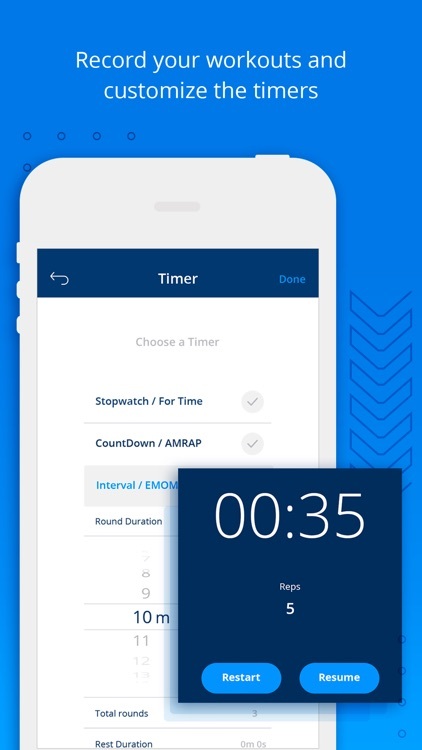 -Record your workouts with a customized built-in timer. -Submit as an official qualifier video. -Quickly start a workout with your own customized timer. -Post your full-length training videos, inspire other community members through comments and likes. -Read news from your favorite online fitness magazine. -WODProof’s search engine - Watch and learn, adapting the best strategy for you. 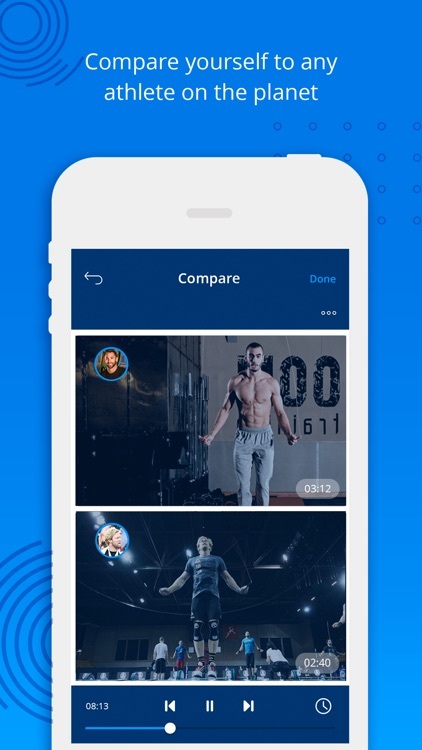 - Compare yourself to any athlete or performance including your previous videos. analyzed how and why you crushed it this time using WODProof’s training comparison split screen. 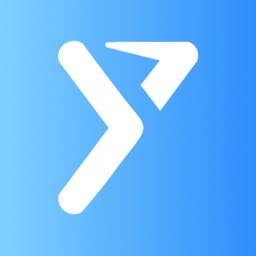 -Join and create teams to train with others. Share scores with your team and see how the other team members perform the same workout as you did. Join ‘Team Toomey’, “Vellners Vindicators‘ Team Ohlsen’, ‘Team Thuri’ and ‘Filly fanatics’ and get access to workouts from their personal training journey. 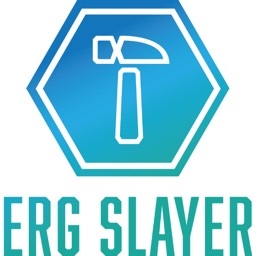 -Manage your training logs and search for your past scores. 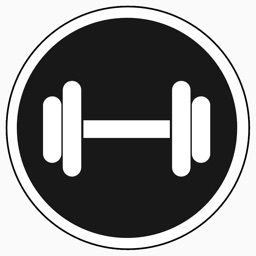 -Add a new workout to your training log, perform immediately or log it for later on. Share it with your followers whenever you like. 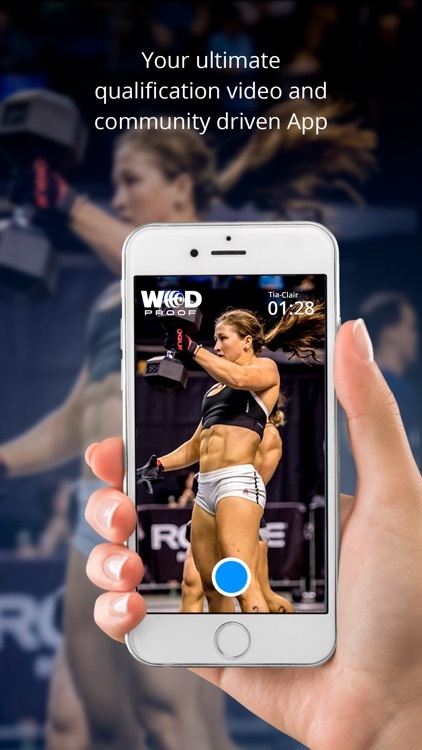 -Search the WODProof video library by Workout, athlete name, athlete level, result, region or country. - Record with HR monitoring using your Polar device to analyze and improve your Game-Plan. Your athletes can always search for past scores on the team’s training log. All in one place - Let your athletes submit their scores, comments and full length video in one place. No more ZigZagging between sharing platforms. Always in control - Open your WODProof team whenever and wherever you want and watch the ones who already completed and how it went for them. Keep your community connected - All your team’s members will be able to see and like each other’s performances. 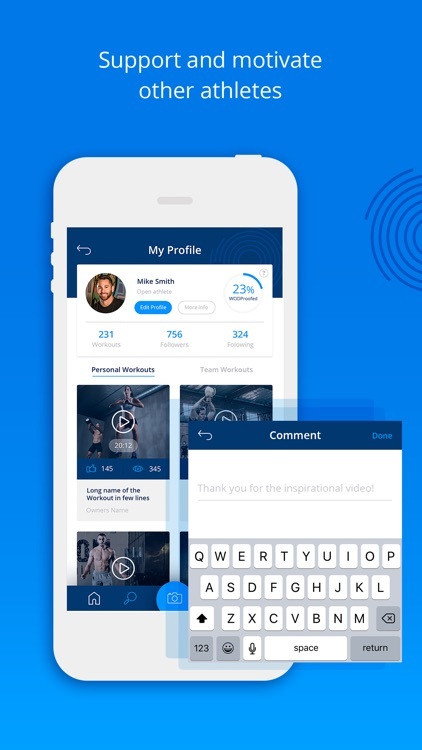 This way you’ll make sure your community stays connected and engaged even when each athlete train in a different place. Leaderboard and competitive spirit - The leaderboard will automatically store each athlete's score into the leaderboard. Let your team be motivated and inspired by others in the team. Reminder - See who already completed a given workout and who hasn’t. 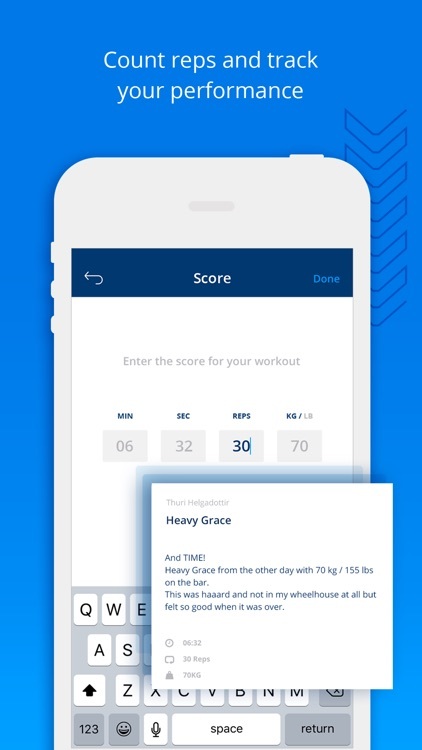 Remind your team's member to complete the workout or submit their score. 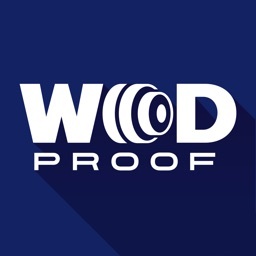 You can download and use WODProof app for free. Payment will be charged to your credit card through your iTunes account at confirmation of purchase. 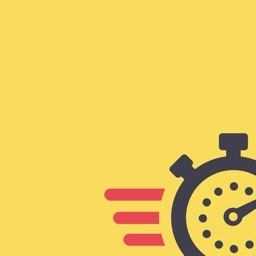 Subscription renews automatically unless canceled at least 24 hours prior to the end of the subscription period. Account will be charged for renewal within 24-hours prior to the end of the current period, and identify the cost of renewal.